"New"? It looks too well sculpted to be new! 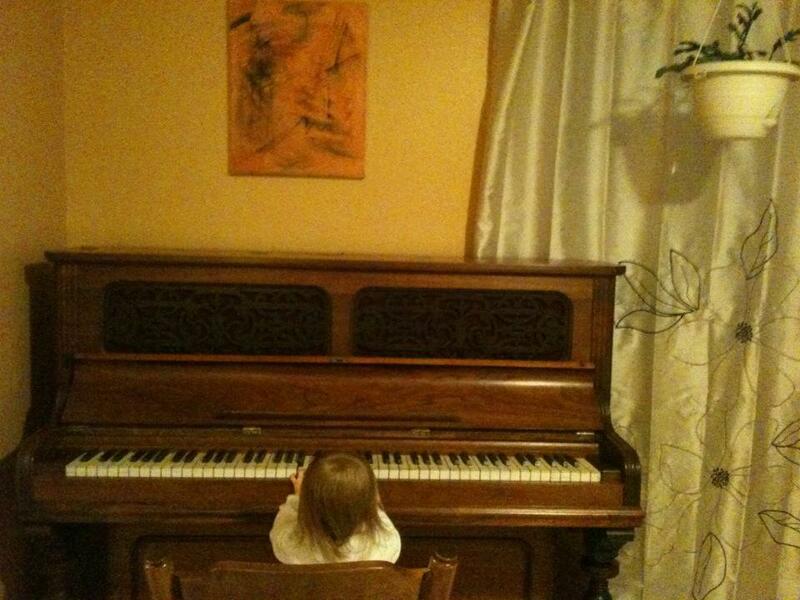 It kind of reminds me of my mother's Piano, which is probably over 120 years old, by now. This is seriously one of the 4 best gifts you can possibly give your children (the others being a yard to play in, a bicycle to explore the world with - provided the neighborhood is safe - and a dog to learn the wonders of life and simplicity of happiness). Having a piano to plink-and-ploink on is the greatest. 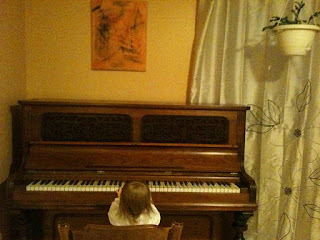 Nevermind formal lessons or fingerings or tunes untill they show enough desire: just let them feel the wonder of the vibration of real strings and the reverb of the entire room, made possible by the big furniture! Exploring by themselves how notes sound together and in succession will be a thrill they will remember even in very old age! Seriously, CONGRATULATIONS and well done! Thanks, Robin, and of course you are right - it is a Weber from maybe the turn of the century or so. We are very pleased with ourselves.